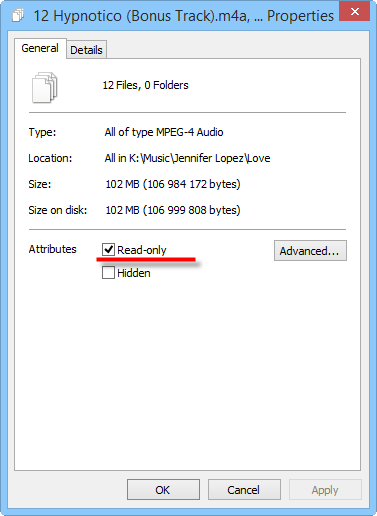 Normally this means that your audio files are either read-only or belong to a different user. If you are the only user of the computer, the latter situation would look strange, but it still may happen. A simple example: you migrated from a different version of Windows, keeping old files. If you've just upgraded from Windows XP, you may expect your administrative account to have full permissions for everything, but this is not the case with Windows Vista and later versions. Luckily, solutions are pretty easy. 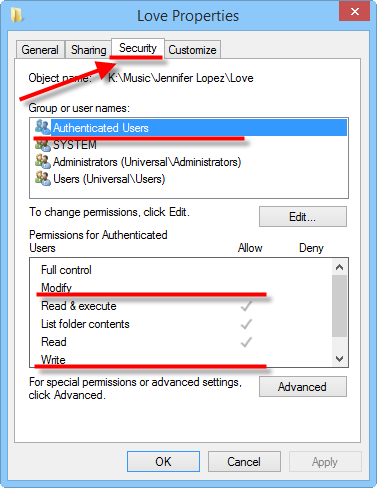 When you copy files, Windows sets necessary permissions for the copies automatically. So, you can open the new folder in mp3Tag Pro and change tags / rename files. This will not work if you move files, because in that case the original permissions are kept. 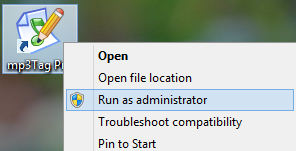 The tag editor starts with full permissions and can change such files. As this is a problem of wrong file access permissions, adjusting the permissions is the proper way of solving the problem. Check the "Read-only" attribute. If it is set, disable it. You can also disable the "read-only" property for entire folders. On this tab, we can check permissions for "Authenticated Users". On the screenshot above, such users are not allowed to modify and write the files. To change this, click the "Edit..." button just below the list of users. Here we can enable the "Modify" and "Write" permissions. Click "OK" to apply the new permissions and close the window. 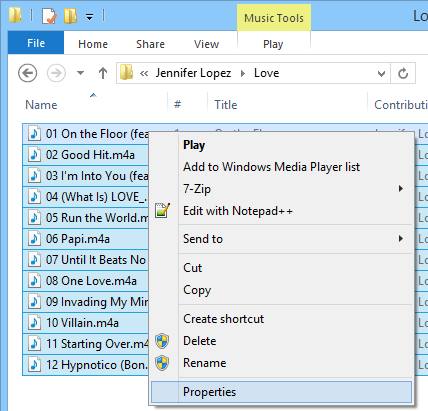 Now you will be able to process your files in mp3Tag Pro and other programs. Click the "Check Names" button next to the white field to make sure that you have entered the name correctly. A correct user name will be underlined after you click this button. Instead of "Authenticated Users" you can enter your Windows user name. 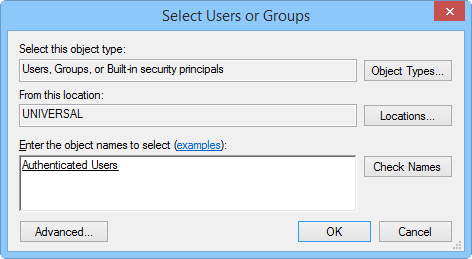 For example, if your Windows user name is John, just enter "John" into the window above and click "Check Names". Once the correct name is entered, click "OK" to close the window and add the user to the list on the "Security" tab. On the "Security" tab, click the newly added user name and make sure that "Modify" and "Write" permissions are granted to the user (see the previous screenshot). Finally, click "OK" to close file properties and apply the new permissions. After adjusting permissions, start mp3Tag Pro and edit tags / rename files as usually.